It seem appropriate that Earth Day (today) should also be the peak of the Lyrid meteor shower . The peak was this cloudy morning in cloudy Houston, but it will last a few more days. Geekquinox provided the attached ISS satellite photo and the info below. The cool thing about this relatively small meteor shower (Typically 20-30 meteors/hour) is that is has occasionally produced some bright fireballs, even a few outbursts of up to 100/hour. 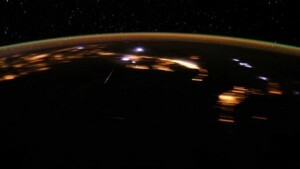 It might be associated with a bright fireball over Russia the other day. So, if you like this nerdy stuff, and clouds cooperate, go outside and look straight up over the next few nights. 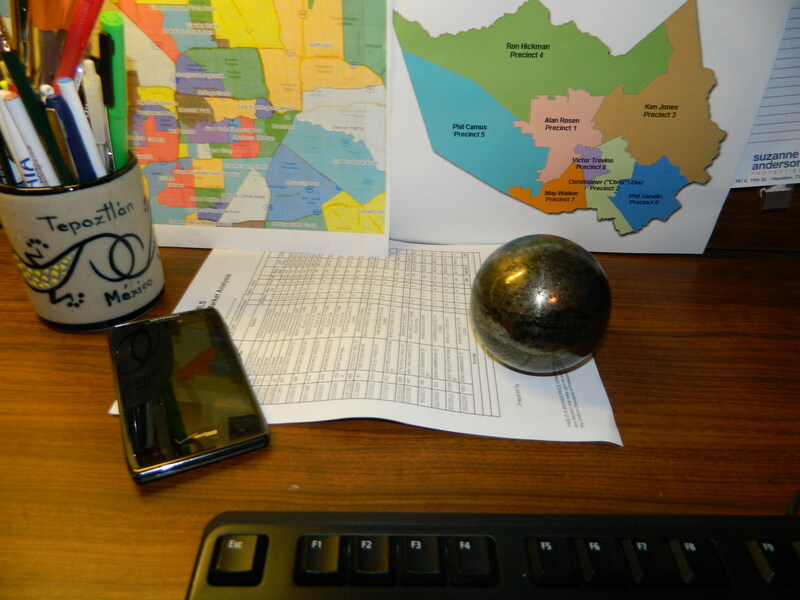 The meteorite on my desk did not hit my house. I bought it ground and polished from Sadigh Gallery.